»Forums Index »Halo 2 Vista Forum (Bungie/Microsoft) »Halo 2 Vista General Discussion »Halo 2 HD Anniversary and Halo 5 in development with proof!! it's more than that. that piece is more like making an awesome looking boat with rocket boosters and glowy bits, but the actual boat sinks. 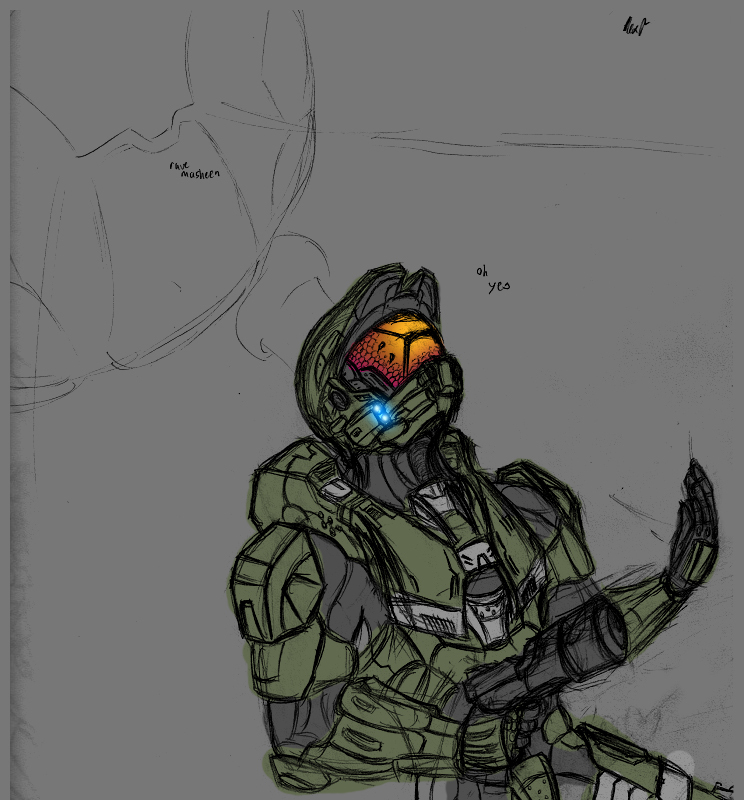 the chief's torso is massive while his hands are smaller than half his head(normal hands range from 2/3-5/6 of the head), his legs are giant as hell, the rocks he's standing on are underdeveloped and make it look unbalanced, cortana's anatomy makes her look like a child with breasts, and the light source should be focused all around the chief instead of just near cortana's head since her whole body is glowing. it looks well executed, but it falls apart. also, the perspective is extremely flawed. notify the artist. Looks pretty good, but you need to fix proportion, lighting, and make the background environment look like he can actually stand on it. But yeah looks good. Keep working on it. Also, chest seems a bit flat and legs seem a bit small. (From the hip down.) Maybe fix the hand some too. New game about the Chief assaulting Sonic the Hedgehog? Time: Sat April 20, 2019 1:20 AM 687 ms.